TAIPEI, Taiwan – How can Taiwan companies effectively and efficiently cater to the changed needs of their EU, US and Asia trading partners resulting from the rapid growth of online sales? This is the key question the Taipei Cycle Forum 2018 wants to answer. 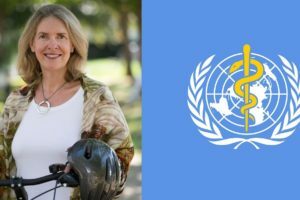 The international Conference takes place Friday 23 and Saturday 24 March, 2018 in Taichung, Taiwan and is now open for registration. The Taiwan External Trade Development Council (TAITRA), in cooperation with Bike Europe are organizing Taipei Cycle Forum 2018. The theme of this international conference for the cycling industry’s top management is: Taiwan bike industry in transition. 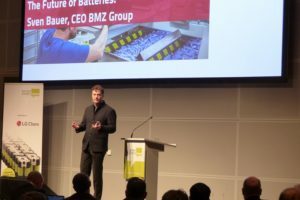 That transition is towards the new business models needed as OEMs and distributors face consumers shopping online more and more for bicycles, e-bikes, and parts and accessories. It brings new forms of retailing as well as distribution such as omni-channel. The possible consequences of these new sales trends will be debated by top executives from Taiwan’s bike as six top managers from Taiwan’s most renowned companies put these changes into perspective. 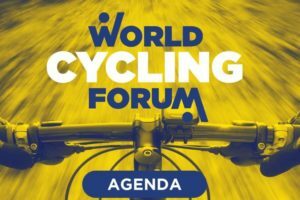 The second day of the Taipei Cycle Forum 2018 is a cycling event. It takes place on Saturday, March 24, at the same location as the first day’s Conference activities — Fullon Hotel Lihpao Land in Taichung. The Taipei Cycle Forum Bike Festival is all about the newest big thing in bicycles; e-bikes. 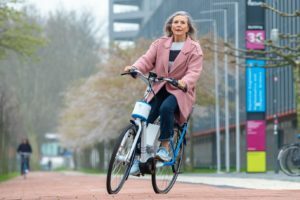 Electric bicycles are conquering Europe and North America as more and more people discover their comfort and usability as well as sportive qualities. 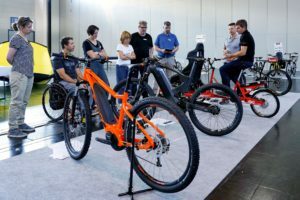 Nowadays e-bikes come in many forms; even as electric mountain bikes. Such e-MTBs are also ready to be tested by the Taipei Cycle Forum visitors. 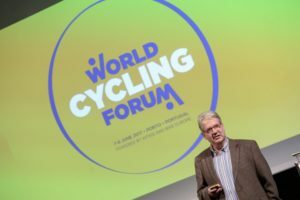 Taipei Cycle Forum 2018 Agenda includes an Executive Panel Debate as well as various keynote speakers and an interactive Questions & Answer session. There are also coffee and lunch breaks that offer ample networking opportunities. The Taipei Cycle Forum 2018 participants fee is set for Super Early Bird registration at TWD 1,031 (€ 29/USD 35); for Early Bird registration at TWD 2,018 (€ 56/USD 68; for Group registration at TWD 1,000 (€ 28/USD 33) and for promotion tickets at TWD 3,000 (€ 83/USD 100). There are special discount available for Taiwan Bicycle Association (TBA) members. They are invited to contact the TBA.